TradeWinds has been operating in the medical market for 30 years. Our main service is MEDICAL HEALTH BUYERS SOURCES B2B buyers' directory which helps medical companies expand their global business. Since 2009 we have expanded into the entire dental market through DENTAL EQUIPMENT BUYERS SOURCES B2B buyers' directory. We are committed to helping companies increase their trade and supporting them through business-to-business services, with the aim of opening up new commercial horizons. About 60,000+ medical and dental manufacturers, professionals and companies visit www.tradewinds.com.tw annually. On-line reports, banners and dedicated product pages immediately address visitors to the certified companies. 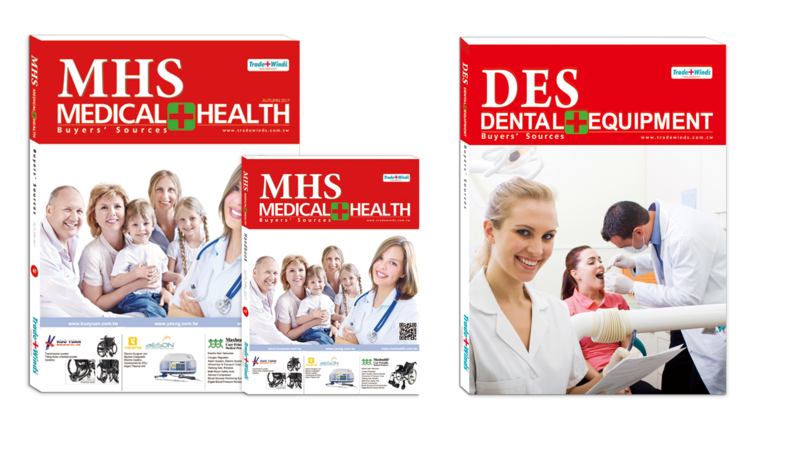 We publish our medical (MHS) and dental (DES) buyers' directory annually in April and October. Our buyers' directory are sent free of charge to 10,000+ companies including distributors, importers, traders and manufacturers in 49 countries. They are also distributed at all important medical and dental exhibitions worldwide.